Euroo Travel & Lifestlye Joins the Crazy Clearance Sale! - Hello! Welcome to my blog! 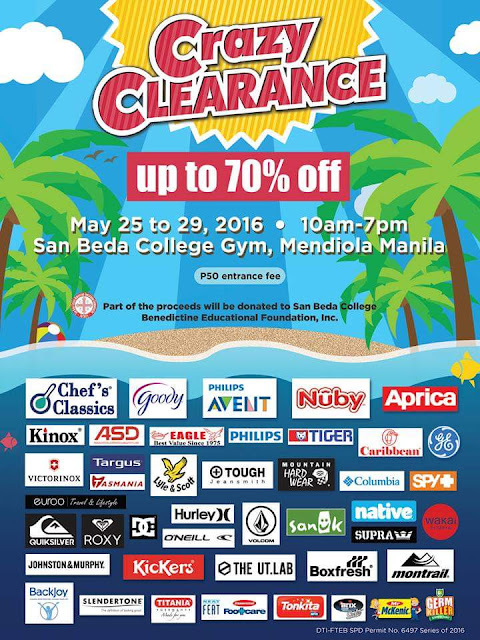 Euroo Travel & Lifestlye Joins the Crazy Clearance Sale! Amazing Sale starts today! From May 25 - 29, visit the Euroo booth and avail of the Euroo Messenger and Backpack with special price up to 70% off!!! Visit the San Beda College Gym. Visit Euroo's Facebook page for more info.